New South Wales Premier Mike Baird has made the surprise decision this morning to retire from politics and will resign as the state’s Premier. Baird, 48, became premier in April 2014 after the resignation of Barry O’Farrell. After less than three years as Premier and with the NSW Liberal Party only half way through its current term the decision has caught many off guard. 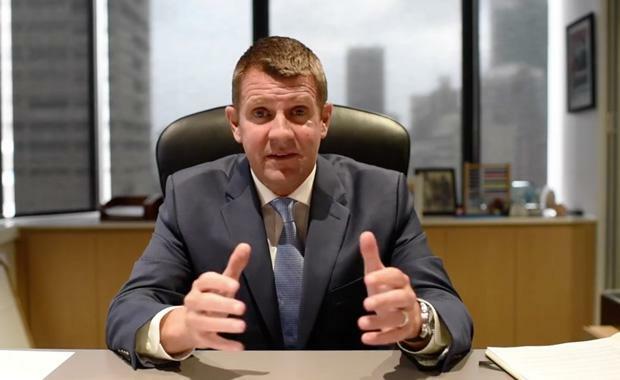 Baird's government had embarked on a program of gathering funds from public asset sales and using them for infrastructure reform including for roads and railways. One of his main concerns had been for the state to cope with Sydney's rising population in particular. He and his government had been successful in generating economic growth, with a budget well in surplus and unemployment at low levels. https://twitter.com/mikebairdMP/status/821840888988975104In his press conference this morning, the former investment banker reflected on his achievements as premier. "We have repaired the State budget, rejuvenated the economy, created jobs in unprecedented numbers, boosted frontline services and unleashed an infrastructure boom in Sydney and the regions, which everyone can see with their own eyes," he said. “Infrastructure is the hallmark of the government. This state will never be the same again on the basis of what we set out to do in infrastructure. “We are getting about rebuilding NSW. Everyone can see it through their own eyes. Investment in water in regional New South Wales. The first time Broken Hill has secure water. "I have always stressed that sound management of the budget and balance sheet is not done for its own sake. As well as enabling us to improve services and infrastructure, it allows us to protect the vulnerable..."
Mr Baird said the sale of the state's electricity infrastructure has set NSW up "for a generation". https://twitter.com/TurnbullMalcolm/status/821857545002184704https://twitter.com/AnnastaciaMP/status/821866768587075584New South Wales' property industry had kicked off 2017 with nation leading levels of confidence according to the latest ANZ/Property Council Survey released last week. His term has not been all plain sailing however. His government's forced council amalgamations have been mired by legal action, his flagship road and rail infrastructure projects – WestConnex, Sydney Metro and the light rail among them – have been met with a violent backlash from people whose lifestyles they are disrupting. Mr Baird said that a Liberal Party room meeting next week will decide who will replace him as leader. It appears that whoever will be his successor will have a half-term to continue with his reformist agenda and also see the Greyhound Racing debacle well and truly in the rear-view mirror. A buoyant property and development industry will look eagerly to his replacement to continue to drive growth for the state. The Urban Taskforce acknowledged the incredible position that Mike Baird has achieved for the state of NSW. The next Premier for NSW must be someone who continues the drive for growth with infrastructure that has been the hallmark of Mike Baird’s term, said the Urban Taskforce. “Mike Baird as NSW Premier has been a great champion of the growth of metropolitan Sydney with a commitment towards delivering badly-needed public transport networks throughout Sydney,” said Urban Taskforce CEO, Chris Johnson. “Sydney is Australia’s global city and as a result it must develop into a well connected metropolis, with additional density, housing and services located around a metro rail network. It is crucial the new Premier continue this approach to ensure Sydney’s continued success as a growing, prosperous global city with a high standard of living. “The alignment of infrastructure, transport and urban planning will be critical to the shape of the new cabinet once a new Premier has been appointed. “While the urban growth of Sydney is clearly a priority for the state, the recent Orange Bye-election demonstrates that the NSW Government must ensure that the rural and regional areas are incorporated into the government’s agenda.